SALE / MEET / EAT!!! 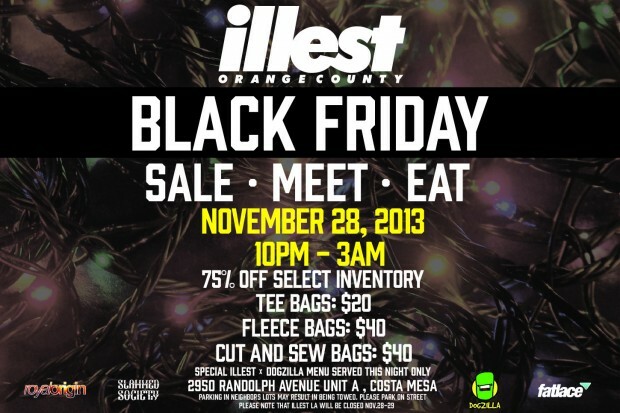 This Thanksgiving and Black Friday at Illest Costa Mesa. Although the Fatlace Paddock and Illest LA will be closed on Black Friday, Illest Costa Mesa will be open to offer you awesome deals and doorbusters!!! 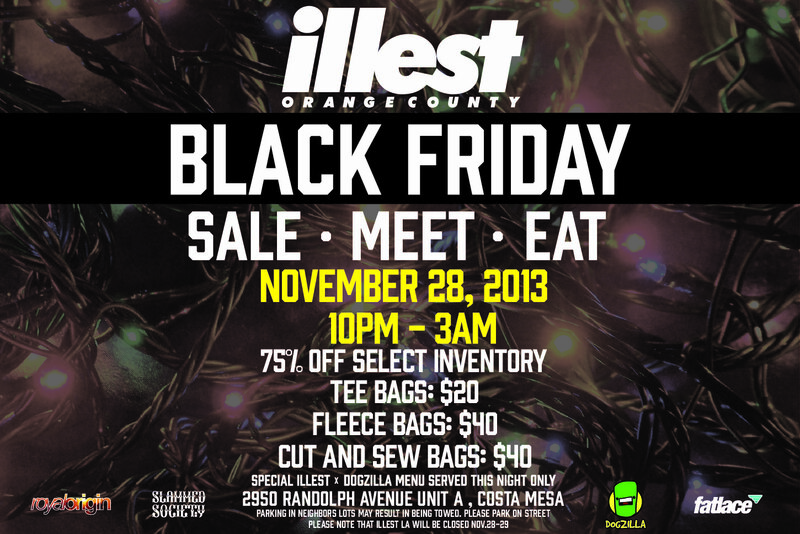 Illest Costa Mesa Black Friday Hours — Open from 10:00PM – 3:00AM and again from 10:00AM – 7:00PM. 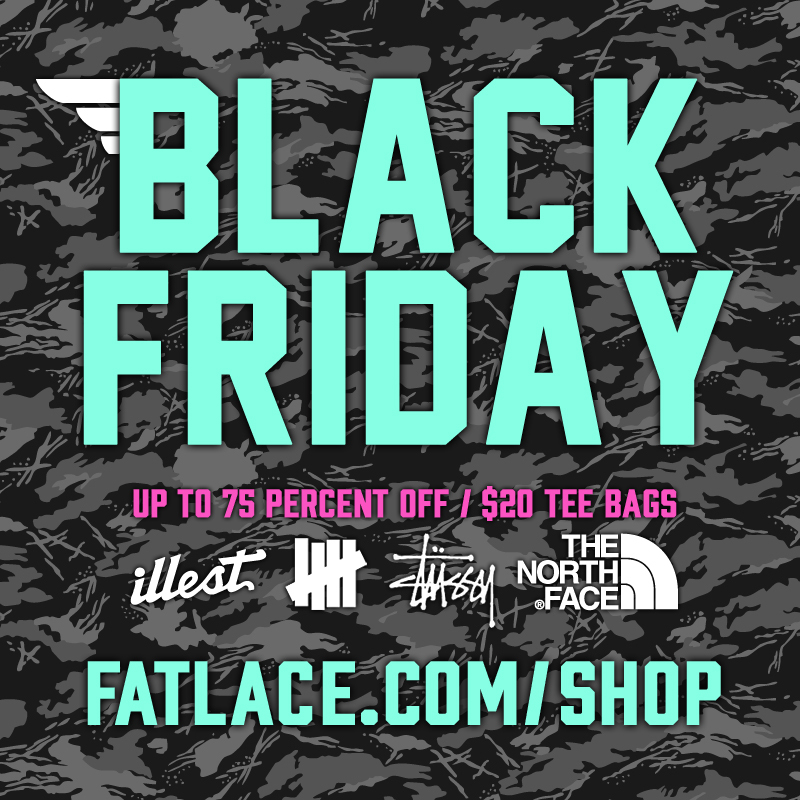 Get up to 75% off select merchandise and grab some Tee Bags (3 tees per bag) for only $20! Pick up some Fleece Bags for $40 and Cut & Sew Bags for $40 as well! If you can’t make it to the shop then no worries! We’ll also be running our sale online starting at 12:00AM PST at FATLACE and ILLEST! I’mma cop me some stussy.